Three of Carnival Corp.’s travel television series have been extended for a second season ABC and NBC stations. The company made the announcement at the ASTA Global Convention at the Sheraton San Diego Hotel & Marina. 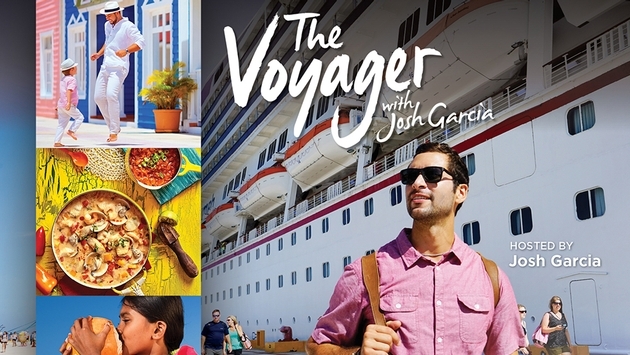 Season two of “The Voyager with Josh Garcia” will premiere on NBC stations beginning Saturday, September 30. “Ocean Treks with Jeff Corwin” and “Vacation Creation with Tommy Davidson and Andrea Feczko” will debut on ABC affiliates the following week on Saturday, October 7. The renewals come a year after Carnival’s first original travel programming and is part of Carnival Corp.’s focus on producing and distributing compelling experiential content. All three shows were ranked as number one or number two in their time slot during the inaugural season. The company’s brands include Carnival Cruise Line, Holland America Line, Princess Cruises, Seabourn, AIDA Cruises, Costa Cruises, Cunard, P&O Cruises (Australia) and P&O Cruises (UK), as well as Fathom, its immersive, enrichment experience brand. “Championing the extraordinary experiences that our guests enjoy while on a cruise vacation via original programming is key to expanding the market’s awareness and generating demand for cruising,” Padgett added. According to Carnival Corp., cruise vacations are growing 20 percent faster than land-based trips. That stat is evidence that Americans’ interest in cruise vacations is becoming more and more popular, it said. It also cited an Adobe Digital Insights study, released earlier this year, that showed the number of visits to cruise websites had increased 32 percent year-over-year in the first quarter of 2017. Three of Carnival Corp.’s original series—which debuted in fall 2016 and are distributed by Litton Entertainment—were honored recently with 10 Telly Awards for the best in TV and cable, digital and streaming and non-broadcast productions. “Ocean Treks with Jeff Corwin” broadcasts nationally as part of the daytime Emmy-winning block “Weekend Adventure,” a three-hour programming block airing Saturday mornings on 98 percent of the country’s ABC affiliate channels. In season two, Corwin takes audiences to Iceland, Belize and Peru while also sharing his family with viewers as they visit Japan. There, Corwin connects with the one creature that’s alluded him for more than 20 years—the giant Japanese salamander. The new season of the “Vacation Creation with Tommy Davidson and Andrea Feczko” will also be featured on ABC’s “Weekend Adventure.” It takes viewers beyond the typical travel show by personalizing vacations of a lifetime for couples, individuals and families facing hardship, in need of hope or seeking much-needed time together. From revealing the wondrous glaciers of Alaska to encounters with the mystical Moko Jumbie of the Virgin Islands, the show celebrates the importance of spending time with family and friends, along with discovering how the world can help people learn more about each other and their family history. Along the way, viewers share their stories of overcoming adversity, while taking part in extraordinary experiences. “The Voyager with Josh Garcia” returns for a second year as part of the network’s nationally broadcasted “The More You Know” programming block. This season, viewers will travel with Garcia to Alaska’s majestic Mendenhall glacier, sample traditional Thai food in Bangkok and venture into the mountains of Taiwan to learn how traditional tea is farmed and prepared. The new Carnival Horizon coming in April 2018 will feature the first Japanese teppanyaki-style restaurant in Carnival Cruise Line’s fleet. Located within the Bonsai Sushi restaurant, the Bonsai Teppanyaki will have two cooking stations with seating for eight at each. The restaurant will be open for both lunch and dinner. Teppanyaki chefs will make tableside grilled meals with a theatrical flourish of knives and other utensils, often tossing food in the air for effect. Lobster, steak, salmon, cod, shrimp and tofu are among the entrees served with Japanese spices and sauces. Entrees are priced a la carte from $18 for chicken, salmon or tofu to $30 for lobster tail. The price includes appetizer and dessert. 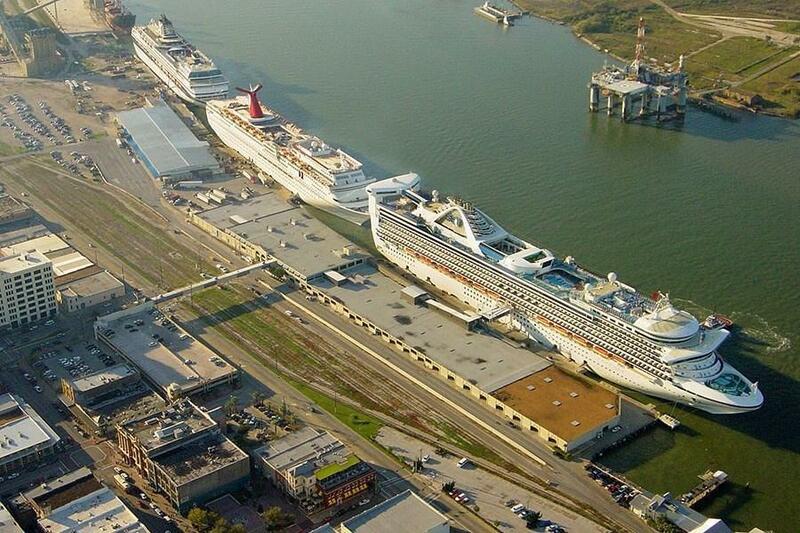 Carnival Cruise Line has now canceled two cruises from Galveston that it had hoped to offer in a shortened format. Based on the uncertainty of the port reopening, Carnival said the Aug. 26 sailing of Carnival Freedom and the Aug. 27 departure of Carnival Breeze have been canceled. Carnival, which had previously canceled the five-day Carnival Valor sailing from Galveston departing Aug. 26, also canceled the next Carnival Valor cruise leaving Aug. 31. Guests will have a full refund processed to the original form of payment within three weeks, and will receive a 25% future cruise credit if a reservation is made in the next 60 days. Coast Guard and port officials can’t say with any certainty when the port will reopen, Carnival added, but suggested it won’t be until late this week at the earliest. The three Carnival ships will make stops in New Orleans during the next two days to let guests disembark if they want to make independent arrangements to return home. They can also wait and sail back to Galveston, Carnival said.